When the most recent jumble of conference realignment was underway, the ACC squarely targeted the Big East for its newest conquests. Commissioner John Swofford wanted to add programs that were strong in the revenue sports of football and basketball, holding distinctive geographic locations that would open up the conference to new fans and marketing possibilities. The ACC won out in a big way, snagging prominent athletic programs at Syracuse, Louisville, Notre Dame and Pittsburgh from the old Big East. While these programs are have had varying degrees of success in the sport that drives realignment, Notre Dame is the only football name brand (and the Irish retained their football independence). So while the current athletic landscape is shaped by the financial juggernaut that is college football, the ACC locked up some of the country’s most elite basketball programs. So while the ACC may have sought greater football legitimacy as its primary goal, the league also landed two massively successful basketball programs in Syracuse and Louisville. As a result, the ACC may very well have positioned itself as the basketball conference of the future, made up of most if not all of the best programs up and down the East Coast. That is, with one notable exception. As the league plundered the Big East, it may have made a drastic mistake from a basketball perspective. The ACC left behind a basketball powerhouse in its own right, Connecticut, a school that all but pleaded for entry into the ACC and a Final Four participant in a season when no conference team made it past the Sweet Sixteen. Recall the silly preseason talk about how the ACC was supposed to be ‘the best ever’, and it leaves you wondering if the exclusion of a program like UConn was the right move. The basketball program based in Storrs has had continued and sustained excellence in the sport over a long period of time, winning the national title three times since 1999 (as well as 2004 and 2011), and putting 13 players into the NBA as lottery picks since 1994. Few programs can match that record. 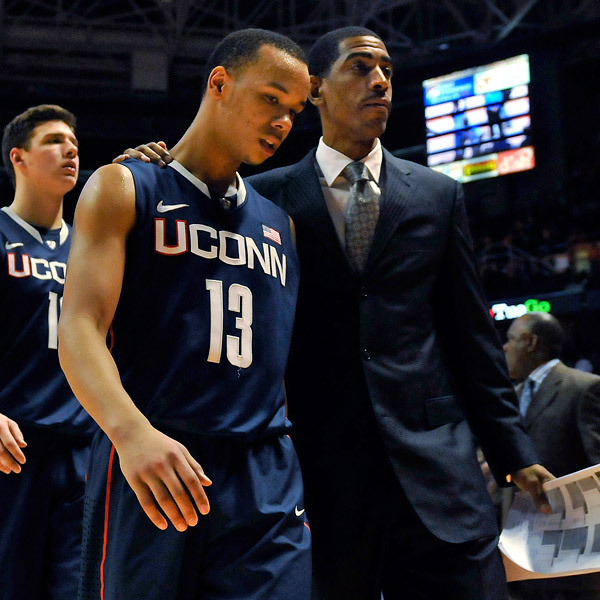 More recently, UConn’s Kemba Walker and Shabazz Napier, two of the best individual guards in college basketball’s recent memory, have taken their teams on memorable rides deep into March and April. There had been some question about how UConn would survive in the aftermath of Jim Calhoun’s retirement, but with Kevin Ollie becoming the fifth coach to ever take his team to the Final Four in his first or second season, the future is obviously still very bright in Storrs. Achieving what he has after an APR-sanctioned first season where UConn was banned from the postseason has won Ollie many admirers across the college basketball landscape. 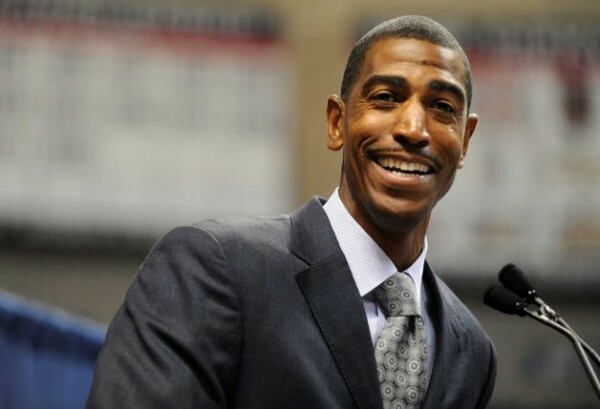 Although he has yet to show he can develop his own recruits, there’s ample reason to believe that UConn will remain a great program during his tenure there. As for the ACC, a league with several Hall of Fame coaches who are nearing retirement and are likely to be on their way out in the next decade, could use a young coaching star on a meteoric rise. The conference’s footprint already reaches north to Boston College, so UConn would fit neatly in between former Big East rivals in Chestnut Hill and Syracuse in upstate New York. While their football program is far from elite, the benefits of adding a consistently excellent basketball program could pay major dividends that would outstrip any potential negatives from a struggling football program. A decision to gear the new ACC toward basketball dominance, with the realization that the league cannot keep up with the Big Tens and SECs of the world in football spending, would be a very good one. A hoops-focused ACC has a place in the hearts and minds of many who grew up on the magic of both the ACC and the old Big East, drawing passionate fans up and down the East Coast, dominating ESPN all winter, and claiming multiple top seeds come March. By extending an invitation to UConn and reuniting the Huskies with former conference rivals, the ACC could cement its status as the place to go for basketball viewers, fans, and recruits. Connecticut, of course, made it known that it wanted a spot in the ACC during the last round of realignment, and it would be wise to send out feelers to see if the schools is still interested (short answer: yes). While the league with 15 is already on the high end of total teams there is still a lot of mediocrity in the middle and at the bottom that hurt its overall profile this year. When Duke, Syracuse, UNC and Pittsburgh each failed to make it past the round of 32 (and for Duke, past the round of 64), ACC fans could only glance longingly at the position UConn is in, enjoying the fruits of a Final Four appearance with an AAC conference affiliation that was largely disrespected in NCAA Tournament seeding. With the AAC set to lose one of its main attractions, Louisville, to the ACC next season, that league’s profile has nowhere to go but down. The addition of another team that consistently fills basketball’s most legendary setting, Madison Square Garden, would be another notch on the checklist for a league looking to cement its status as the best basketball conference over the Big Ten and others for years to come. This entry was posted on Friday, April 4th, 2014 at 9:01 am by Chris Kehoe	and is filed under acc, microsites. Tagged: acc, big east, feature, football, huskies, kemba walker, kevin ollie, louisville, ncaa tournament, notre dame, pittsburgh, realignment, shabazz napier, storrs, syracuse, uconn. You can follow any responses to this entry through the RSS 2.0 feed. You can leave a response, or trackback from your own site. Don’t hold your breath, Bob. UCONN and Cincy would leave the AAC at the drop of a hat. Soon, you will be playing in a conference that resembles the old CUSA.